Busch Gardens Tampa’s annual Bands, Brew & BBQ festival continues this weekend with more of the biggest names in rock and country music. In one of Busch Gardens’ most anticipated shows of the festival, multiplatinum singer, philanthropist, Celebrity Apprentice winner and “Rock of Love” superstar Bret Michaels will take the stage on Sunday, Feb. 23 performing some of his biggest hits, including “Every Rose Has Its Thorn” and “Talk Dirty to Me,” which Michaels recently mashed-up with singer Jason Derulo. Now in its seventh straight year, Bands, Brew & BBQ is bigger than ever, filling every Saturday and Sunday through March 9 with an unlimited sampling of more than 100 specialty and craft beers, saucy barbeque from the bay area’s most popular restaurants and live concerts. For those looking to sample several of the specialty brews, unlimited sampling is available from noon to 5:30 p.m. every Saturday and Sunday with a Beer Festival Wristband. Wristbands are $30 per person (ages 21+), or two for $50 for active Busch Gardens Tampa Pass Members, and also include sampling privileges at the Desert Grill restaurant, Crown Colony pub, Garden Gate Café and Zambia Smokehouse. Can’t decide which performance to attend? Buy a 2014 Fun Card so you can pay for a day and come back all year to catch them all! It’s the best value for again-and-again access to all of the exciting, big-name entertainment, amazing animal encounters, and world-class thrill rides Busch Gardens has to offer, including Falcon’s Fury, North America’s tallest freestanding drop tower opening spring 2014. The 2014 Fun Card is valid from the date of purchase through Dec. 31, 2014 and is available online, by calling (888) 800-5447 or at the Busch Gardens’ front gate. 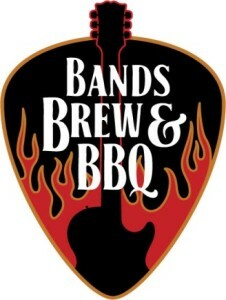 This entry was posted in Home Page, Home Page Slider, News and tagged Adventure Outpost, Bands Brew & BBQ, Beer Festival, Bret Michaels, Busch Gardens, Busch Gardens Tampa, Busch Gardens Tampa Bay, Celebrity Apprentice, Crown Colony pub, Desert Grill restaurant, Every Rose Has Its Thorn, Falcon’s Fury, festival, Garden Gate Café, Gwazi, Gwazi Park, Jason Derulo, Justin Moore, Kojak’s House of Ribs, Outback Steakhouse, Penguin Pretzel Factory, Rock of Love, Small Town USA, Smokey Bones Bar & Fire Grill, Talk Dirty to Me, Tampa, Theme Park Adventure, TPA, VIP Ticket, Zambia Smokehouse. Bookmark the permalink.